HOUSTON, TX, September 27, 2017 – Grab a refill of cola and strap in for another season of our favorite hamster-hooded, snack-loving menace! Sentai Filmworks is proud to license Himouto! Umaru-chan R, the second season of the wildly popular comedy series, Himouto! 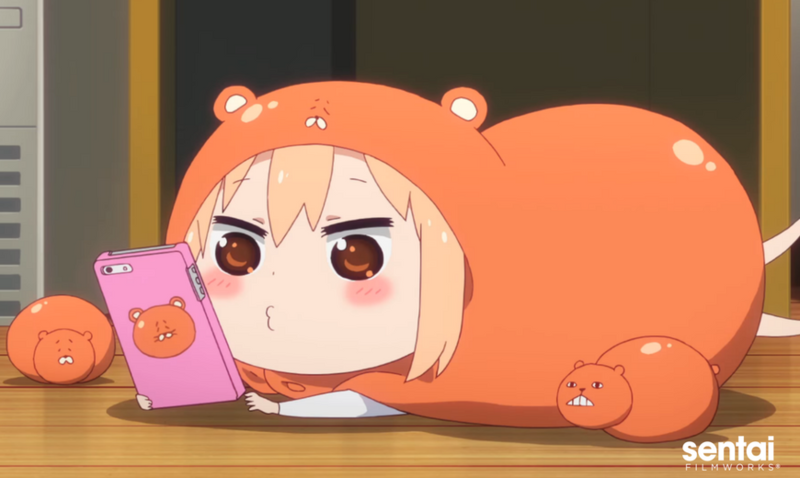 Umaru-chan. The series will soon be available to stream in the U.S. on Anime Strike, the curated on-demand anime subscription from Amazon Channels. Masahiko Ohta, director of the first season of Himouto! Umaru-chan, returns to direct the second season, along with original series composition writer Takashi Aoshima. Doga Kobo (New Game!, Majestic Prince, Monthly Girls’ Nozaki-kun) is once again in charge of animation production. Himouto! Umaru-chan R is scheduled for an October 2017 release in Japan. It will soon be available to stream on Anime Strike for $4.99 per month after a 7-day free trial, and in non-US territories through select digital outlets for the Fall 2017 simulcast season with a home video release to follow.